It just felt like a warbler morning this morning after last night's thunderstorm, so we stepped outside with our coffee. We were quickly rewarded with a good showing of fall migrants this morning. What a way to welcome the first day of fall! 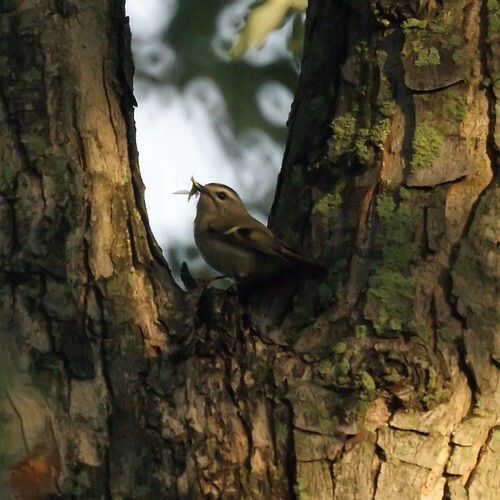 We had this little darling, the Kinglet, along with two Northern Parulas, a yellow warbler, a brown creeper, and even a red breasted nuthatch. Can't wait to see what tomorrow morning brings.